There is no shortage of fun things to do on Long Island in the summer. Our extensive list of Nassau and Suffolk County activities proves it! When the warmer months arrive, Long Island starts to feel like one big beach town. Right after Memorial Day, flip flops and swimsuit cover-ups become almost standard attire as most people are either on their way to or from the shore on any given day. 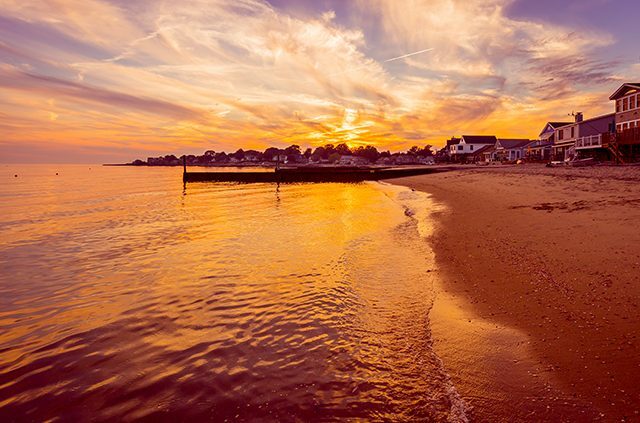 Without a doubt, a day at the beach is among the top things to do on Long Island in the summer, but that’s just the beginning. From the causal seaside towns of the South Shore to the elite streets of the Hamptons, day trips on Long Island are vast and varied. Take it from me, a native Long Islander, born and raised. For me, summer means lazy beach days and sunsets on the boardwalk, but also waterfront dining and getting out and enjoying the beautiful gardens and parks while they’re at their best. Long Island is more than its reputation. 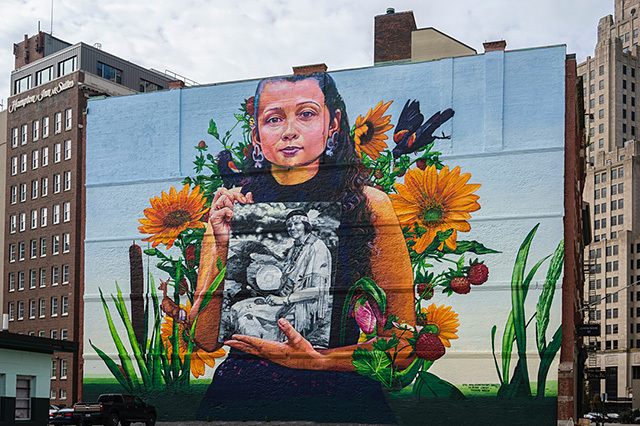 Beyond bagels, funny accents, Billy Joel and the Barefoot Contessa’s version of the Hamptons (though we’ll happily to take credit for all of those), many of the experiences here are rooted in community, history and tradition. On this list are places and activities that are a part of my memories growing up here, some that I’ve yet to try and at least a handful that are always on my list of things to do on Long Island every summer. Long Island Gold Coast Mansion. Long Island is home to a generous number of beautiful and historic former estates, many of which are now public gardens. At the Planting Fields Arboretum State Historic Park in Oyster Bay, guests are free to wander the grounds of the Gold Coast estate and its formal gardens and greenhouses. And on select Friday evenings every month in the summer the Planting Fields Foundation puts on “Music in the Garden,” a lively outdoor summer concert series featuring jazz, blues and swing music. 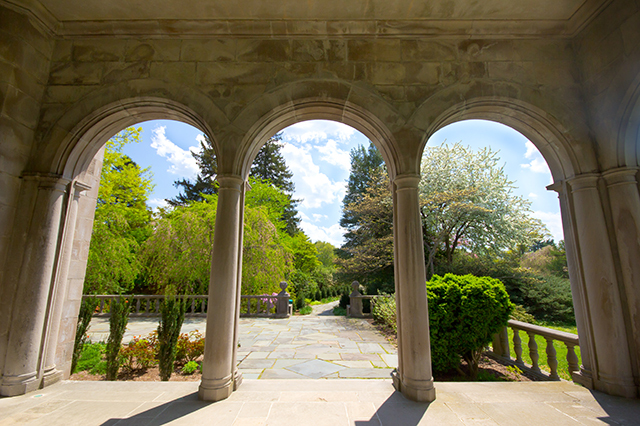 Old Westbury Gardens, which is open for mansion and garden tours and self-guided exploration during the day, also hosts a Picnic Pops Summer Concert Series on their main lawn Wednesday nights July-August, along with a variety of other indoor and outdoor concerts and events throughout the summer. For a scenic walk or quiet picnic, other must-visit gardens and mansions that make for perfect Long Island day trips include Sagamore Hill, the “Summer White House” of Theodore Roosevelt, and the Bailey Arboretum, where you can stroll the estate of renowned horticulturist Frank Bailey completely free of charge. 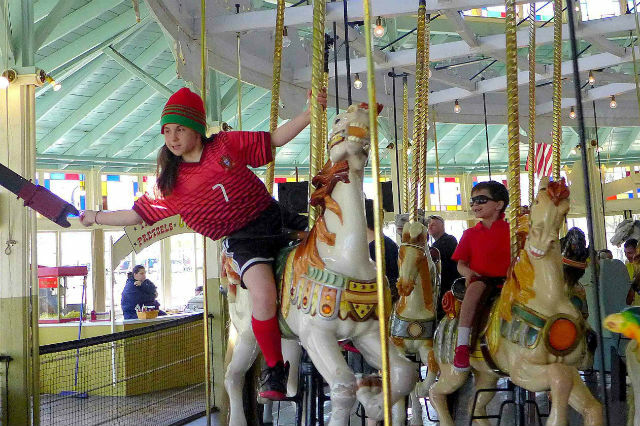 Just about everyone who has grown up on Long Island has an Adventureland memory. Since 1962, the Farmingdale amusement park has been entertaining locals with its range of rides and attractions (currently over 30) and games. Admission is free but visitors pay per ride. Try your luck at Belmont Park, home of the Belmont Stakes, the final and most demanding leg of the Triple Crown series. Belmont Park holds races throughout the summer and fall. Watch the live races from the stands and enjoy a picnic in the backyard or enjoy the view with a full buffet at The Garden Terrace Dining Room. On select weekends the park also hosts Breakfast at Belmont, which invites guests to watch the horses train and includes a tour of the stables, free Starting Gate demonstration and optional breakfast buffet. The next time you’re on the Meadowbrook Parkway on your way to Jones Beach, look for the windmill on the top of the hill. That’s the summit of Norman J. Levy Park and Preserve, informally known as “Merrick Mountain.”A refurbished landfill-turned plant and wildlife sanctuary, you can say it’s the best looking dump around. Great for recreation and relaxation, the park includes three miles of hiking and jogging trails, 18 exercise stations, a 500-foot fishing pier and a kayak launch into the original Meadow Brook. At its highest point of 115 feet, there are sweeping views of the Jones Beach tower, the coastal neighborhoods below, and on a clear day, the New York City skyline. Up there you’ll also find two man-made ponds, circulated by the fully functional windmill. The best thing (at least I think so) is the park’s resident herd of Nigerian dwarf goats, which you can see resting in their pen or wandering the trails, busily doing their job of cutting (and fertilizing) the grass. Pop’s Seafood Shack & Grill, Island Park – Indoor and outdoor beach dining in a fun and relaxing setting. Fire pit lounge and nightly entertainment. Jordan Lobster Farms, Island Park – A Long Island classic with a backyard raw bar and seating area, indoor dining room and an attached retail store where you can buy fresh fish to take home. Prime American Kitchen & Restaurant, Huntington – Seafood, steaks and dock views overlooking Huntington Harbor. Enjoy a meal al fresco or have a cocktail by the fire pit on a cool night. Walls Warf, Bayville – Eat on the deck or right on the beach with views of the Long Island Sound and Connecticut in the distance. Crescent Beach Club, Bayville – Next door to Walls Warf, the Crescent Beach Club offers the same view, but in a less casual setting. And it just wouldn’t be summer on Long Island without a stop at Freeport’s Nautical Mile, a literal mile’s worth of bars, beachy little gift shops, waterside restaurants (like the AAA Two Diamond Rated EB Elliots) and lively nightlife. Of all the things to do on Long Island in the summer, there’s nothing more refreshing on a hot day than an Italian ice and a waterfront breeze. At Bonanza’s Italian Ices in Bayville, the Bonanza family keeps up the tradition that their great grandfather established in the early 1900’s when he started selling handmade Italian lemon ices from a pushcart in Oyster Bay. Housed in a small corner shack, Bonanza’s doesn’t look like much from the outside, but the fresh handmade ices can’t be missed. Walk to the nearby Oyster Bay Harbor and have your ice with a view. Go to a concert at Jones Beach Theater. Click here to see when your favorite performers will be in town. But the biggest show every year at Jones Beach happens on the beach. Every Memorial Day Weekend, the annual Bethpage Airshow draws hundreds of thousands of people eager to see a roster of fighter jets, including the U.S. Navy Blue Angels, put on a breathtaking display of tricks over the water. Admission is free (except for the standard $10 parking fee). It is suggested that visitors arrive early to dodge the inevitable traffic; however, if you really want to avoid to the crowds, stop by the area the day before to watch the planes practice. Golf at one of Long Island’s many public golf courses, including the famed Black Course at Bethpage State Golf Course in Farmingdale, which was the site of the United States Open in 2002 and 2009. Long Island Children’s Museum, Garden City – A hands-on museum that encourages kids to let their imaginations run free. The Cradle of Aviation Museum, Garden City – This popular museum’s air and spacecraft displays honor Long Island’s role in aviation and has a dome theater/ planetarium. It is also the site of the historic Nunley’s Carousel, a treasured piece of nostalgia for anyone who grew up in the area that has been restored for future generations to enjoy. Nassau County Museum of Art, Roslyn Harbor – On the grounds of the former Frick Estate, the mansion hosts rotating exhibitions in its gallery and has a sculpture garden with the works of renowned artists on its surrounding lawns. Walking trails lead to one discovery after another. One of the most interesting places to go on Long Island, Old Bethpage Village Restoration allows visitors to step back in time. This “living history museum” consists of 36 houses, barns and buildings dating from 1765 through 1865, in which you’ll find costumed interpreters that deliver facts and stories about the people who occupied them. And on weekends in the summer, you can catch an old timey baseball game. Beginning in late May, Long Island’s farm country starts to come alive. Strawberry picking is one of the most popular things to do on Long Island in the summer, with farms like Lewin Farms that allow visitors out into the fields to harvest their own. Summer is also peak season for the Long Island wine trail. There is no better “staycation” than sharing a bottle at one of the winery tasting rooms along the South and North Forks overlooking the vines and listening to live entertainment. For a different way to experience Long Island country, bike tours such as East End Bike Tours and Pour & Pedal include tastings, gourmet meals and exclusive guided stops. For an unforgettable winery experience with friends, hop aboard the North Fork Wine Wagon, a fun contraption that allows up to 14 people pedal and sip their way through select vineyards as a professional driver steers. Spend some time like the Island’s elite, taking in some of the top beaches, food, wine and nightlife that the area has the offer. On your way, don’t forget to stop at the Big Duck. Montauk Lighthouse, Montauk State Park – The oldest lighthouse in New York State (authorized by President George Washington in 1792) and a National Historic Landmark, it is understandably one of the most popular destinations (and picture spots) on Long Island. Paired with the expansive scenic views of the Atlantic Ocean, it’s hard to beat. While you’re there, you can climb to the top, walk the park or visit the museum, which is located in the 1860 keepers’ house. Fire Island Lighthouse, Captree Island – Take the 182 step tour of this iconic black and white tower and enjoy the panoramic view of the ocean and surrounding region, which extends all the way to the New York City skyline on a clear day. Of course, Fire Island is a top summer destination in itself. Take the ferry over to experience the beaches, nightlife and car-free streets of this one-of-a-kind little piece of paradise. Horton Point Lighthouse, Southold – See the lighthouse, tour the exhibits and have a picnic on the grounds. Head 120 steps down to the beach or walk the nature trail. Fun in the sun is what it’s all about at Splish Splash water park in Calverton, which has been rated as one of the top water parks in the country by the Travel Channel. From family-friendly to thrill-seeking, they’ve got something for everyone. White Post Farms, Melville –Little ones get the opportunity to hand and bottle feed goats, interact with birds in the free flight aviary and encounter more exotic animals like kangaroos and lemurs. Long Island Game Farm, Manorville – The largest children’s zoo and wildlife park on Long Island, the Long Island Game Farm has been a part of family memories on Long island for almost 50 years. Here the kids can get up close and personal with baby animals, deer, camels and more. Long Island Ducks Game, Central Islip – A fun baseball experience that comes at a much friendlier price tag than a Major League game. Arrive early as Duck players sign autographs 15 minutes before starting time. Not only will the kids have a blast cheering on the Atlantic League Champions (2004, 2012 and 2013), they’ll love Quackerjack the mascot and running the bases after the game. Fireworks on select nights. Riverhead Raceway – Built in 1949, this is one of the oldest stock car race tracks in the country and the only NASCAR stock car track in the New York metropolitan area. There are 5 to 6 racing divisions every Saturday night with an average car count of 150 cars, and special shows such as the Demolition Derby. Fish Hatchery, Cold Spring Harbor – A former trout hatchery, this non-profit educational center teaches visitors about the freshwater ecosystems of New York. While you are here you can check out the largest living collection of fresh water reptiles, fish and amphibians in New York State, tour the two aquarium buildings and eight outdoor ponds and even feed the trout. Retail therapy feels even better in the pleasant outdoor setting of the Tanger Outlets in Deer Park and Riverhead. Aside from great deals on designer brands, they also have places to eat, occasional special events and both locations have a movie theater, so it’s fun for the whole family. AAA members receive a free coupon book at Tanger. Hither Hills State Park, Montauk – A 189-site campground at Hither Hills State Park on the ocean that offers a beach as well as scenic picnic areas, fireplaces, sport fishing, bridle paths and hiking, nature and biking trails. The unique “walking dunes” of Napeague Harbor are a highlight of the park. Wildwood State Park Campground, Wading River – 600 acres of undeveloped forest that ends on a high bluff overlooking Long Island Sound. In addition to swimming and fishing in the Sounds, visitors have access to a picnic area, playground and hiking trails. Smith Point County Park Campground, Shirley – Suffolk County’s largest oceanfront park. A popular spot for residents and tourists alike during the summer season, the park has a beach that’s great for surfing and fishing, showers, a playground, food concessions and special events. Campsites (reservations required) and outer beach camping are available (first come, first served). Watch Hill Marina and Campground, Fire Island – Campgrounds, including 26 sand sites are in a protected area behind the dunes just a short walk to the beach. The facilities include running water, picnic tables, grills, showers and bathrooms. Vanderbilt Museum, Centerport – Tour the waterfront mansion of William K. Vanderbilt and explore the museum, which includes the thousands of marine, bird and insect specimens that he collected during his oceanic expeditions and trips around the world. Don’t miss the planetarium. 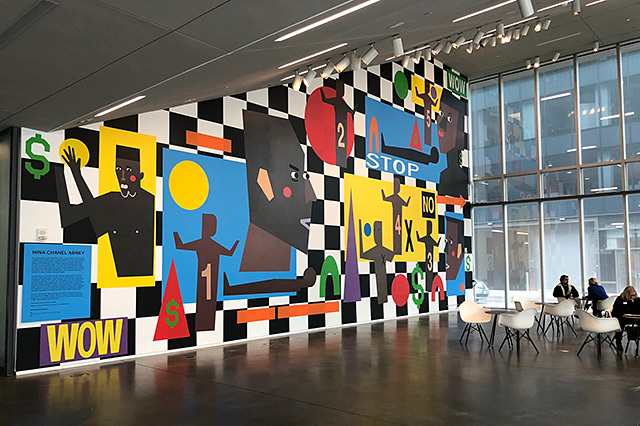 Heckscher Museum of Art, Huntington – The museum’s permanent collection includes 15-20th century American and European paintings, presented alongside limited time exhibitions and various programs, lectures and events. Cold Spring Harbor Whaling Museum – Located in Cold Spring Harbor, which was a whaling port in the 19th Century. Highlights include a scrimshaw collection, ship models, artifacts and tools used by whalers, and New York State’s only fully-equipped 19th century whaleboat with original gear. Among numerous indoor and outdoor exhibits of marine and other wildlife, the Long Island Aquarium in Riverhead boasts a massive coral reef display, shark tank and year-round sea lion shows. The fairly small size of the Atlantis-themed aquarium allows for lots of up-close-and-personal experiences, including touch tanks and other interactive encounters such as sea lion selfies and penguin meet and greets. On a nice day, the 90 minute Atlantis Explorer Boat Tour down the Peconic River is a relaxing and educational trip. And we can’t leave out a day in Port Jefferson. With a variety of restaurants (Old Fields, The Pie, The Fifth Season), fun foodie stops (C’est Cheese, Toast Coffee House, The Secret Garden Tea Room, Tiger Lily Café, Sweet n’ Savory Creperie Crepe and Rice Pudding Bar), unique shops (Envision Crystal, Boardwalk Games) and popular retail stores, it’s no wonder that this waterfront village is a summer hotspot. From here, you can also take the ferry to Connecticut. What are your favorite things to do on Long Island in the summer? Share them in the comments! 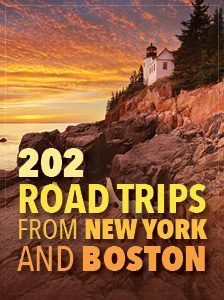 Article tags: AAA, baseball, Belmont Park, bike, book a hotel, camping, car, Connecticut, credit, day trips, day trips on long island, dining options, discounts on hotels, east end, educational, entertainment, exercise, flights, food, garden, hiking trails, home, hotels, house, lawn, long island day trips, NASCAR, on hotels, places to eat, restaurants, things to do, things to do on long island, things to do on long island in the summer, tours, travel, trip, walking trails, water park.